Glenn E. Moyer - The Kafafian Group, Inc.
Glenn has been a Senior Advisor at TKG since 2015. He provides financial advisory, strategic planning, and regulatory order assistance. He has over thirty-eight years of banking experience including serving as the Secretary of Banking for the commonwealth of Pennsylvania prior to joining TKG. Glenn served as Pennsylvania’s Secretary of Banking from 2011 to 2014. By virtue of this position, he served as Chair of the Board of Directors of the Pennsylvania Housing Finance Agency and Vice Chair of the Pennsylvania Banking and Securities Commission. He was also a voting member of the board of the Commonwealth Financing Agency, the Pennsylvania Economic Development Financing Authority, the Pennsylvania Industrial Development Authority, the Pennsylvania Minority Business Development Authority, the Pennsylvania Energy Development Authority, and the Certified Real Estate Appraisers Board. Glenn worked successfully to update and modernize statutes governing various financial services industries including overseeing a critical rule change through the Independent Regulatory Review Commission process. In addition, Glenn oversaw the launch of the Banking Department’s first social media initiative, PA Investor Education on Facebook, and its transition to a new website in 2014. 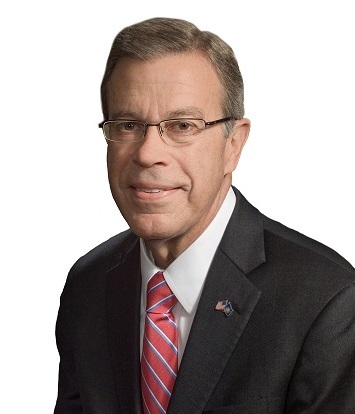 Prior to serving as the Secretary of Banking, Glenn served as the President, CEO and Director of National Penn Bank and its holding company, National Penn Bancshares, Inc.
Glenn holds an MBA from St. Joseph’s University, a Master of Education Degree from Eastern New Mexico University and a B.S. in Secondary Education from Penn State University. He served as an officer in the U.S. Air Force, stationed at Cannon Air Force Base in New Mexico.